An emergency can really put a damper on your day, but for people experiencing a medical emergency, there is a clear course of action. Call emergency medical services or proceed to your local urgent care. But what about a dental emergency? Many patients waste time and money on urgent care appointments when something has gone wrong with their oral health. 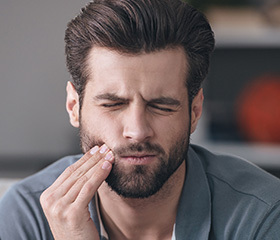 While medical professionals are happy to help patients with dental emergencies, they are not the most equipped to deliver the smile repairing services you need. To get the smile back on your face, you need help from a trusted dentistry professional. At Water’s Edge Dental, Sean Bannan, DDS and our team provide South Daytona dentistry patients with emergency care whenever they need us most. Simply call our team, and we’ll do our utmost to offer same day services. Brush and floss regularly and visit the dentist at least twice a year to keep teeth healthy. Do not use sharp objects to remove stuck food or other foreign items. Instead, brush teeth, use floss, and swish with water. If this does not remove the stuck item, call the dentist right away. Avoid chewing on ice, fingernails, or other hard objects that can lead to unintentional damage. 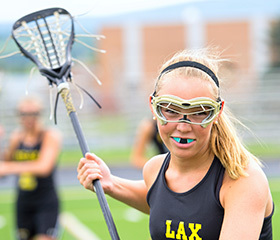 Use mouthguards as directed to protect teeth from damage during the night from teeth grinding and clenching, or to prevent injury during athletic competitions.